Lovell was noted throughout his life for being an erudite speaker, devoted community activist, and renowned television and radio broadcaster. Born in Florida in September of 1934, his father was an Episcopal minister and history professor, and his mother worked as a college administrator. A graduate of Bethune-Cookman University, Lovell served as Executive Assistant for the President of Urban Affairs at Howard University in Washington DC and produced and hosted a daily show on WTOP-TV, for which he won a regional Emmy Award. Lovell, the station once boasted, “had a clear understanding of the issues of the day – however complex,” and his once-a- weekend 9PM to midnight program tackled many of those tough issues in a balanced conversational manner. For nearly 40 years, Dyett covered topics and issues that affected people of all walks of life, discussing topics that were often times contentious, like busing and the desegregation of Boston’s schools, and sometimes uncomfortable, such as interviews with former members of the Ku Klux Klan. Lovell was a major player in many organizations including the Workshop on Cable Television for Minority Municipal Officials, serving as Chief Media Consultant of the Congressional Black Caucus, as Board Member of the Roxbury YMCA, Roxbury Chapter of University Without Walls, Boston Chapter of the Urban League, and was also a long standing member of the NAACP. 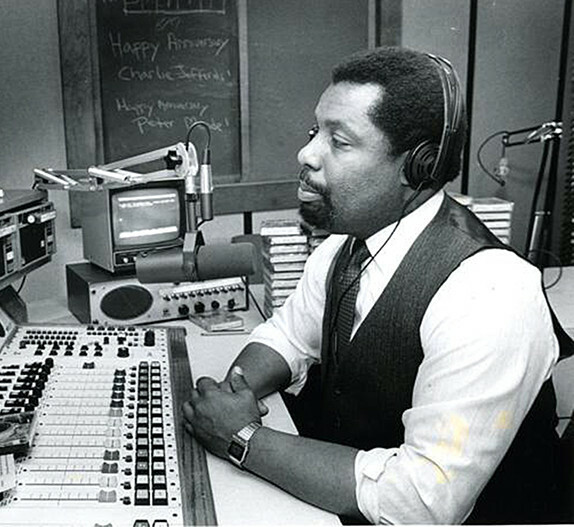 Lovell relished every opportunity to interact with the listeners of his WBZ talk show and treated each guest with courtesy and respect.